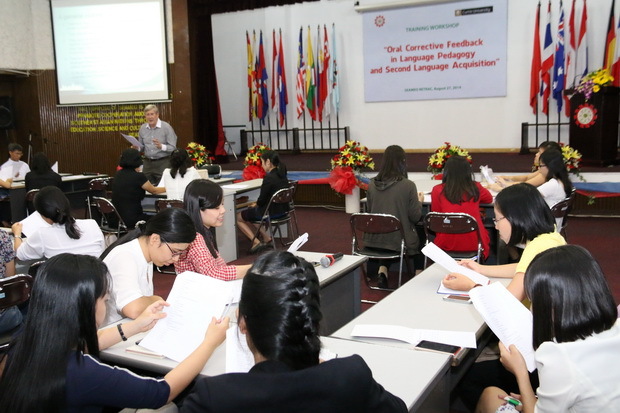 On August 27th, 2014, the training workshop on “Oral Corrective Feedback in Language Pedagogy and Second Language Acquisition” was conducted exclusively for graduates of Curtin University Master of Arts in Applied Linguistics at the Center’s premises. 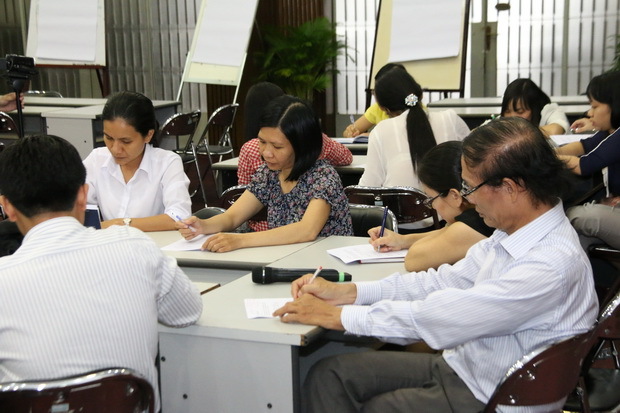 Participating in the meeting were about 50 MA graduates from Ho Chi Minh City and other areas. The workshop was conducted by Prof. Rod Ellis from University of Auckland and Shanghai International Studies University. This is one of the professional development activities for Curtin alumni in MA in Applied Linguistics jointly offered by Curtin University and SEAMEO RETRAC.